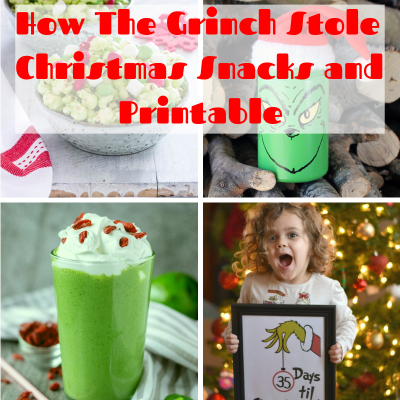 Who here loves the Christmas season because you find the best Christmas candy recipes? I know I love a tasty Christmas candy, and I wanted to share a handful of my favorite Christmas candy recipes with you guys below! These candies are great for Christmas parties, making treat containers for friends and family, and just to munch on any time of the year! I am a huge fan of candies and goodies to have during Christmas time. 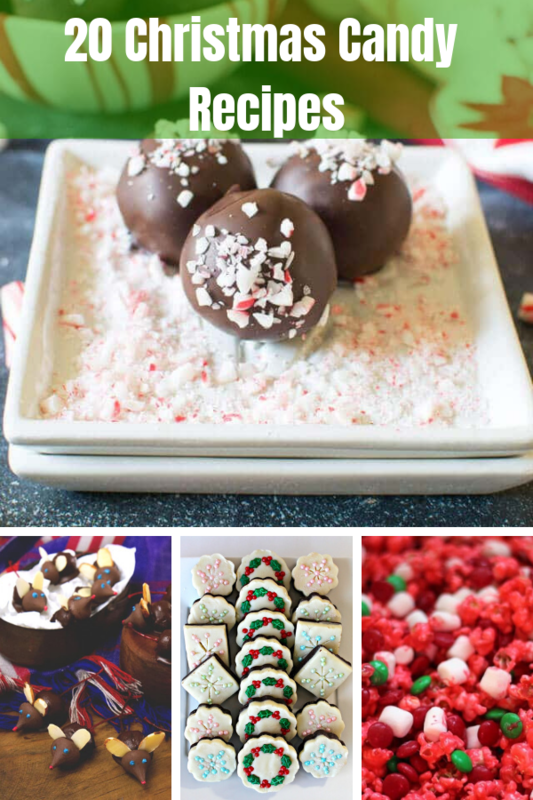 This roundup you will get a variety of Christmas candy recipes. I love how fun and colorful these are. From traditional Christmas candies to more modern takes, you will for sure get a sugar rush scrolling through this tasty list. 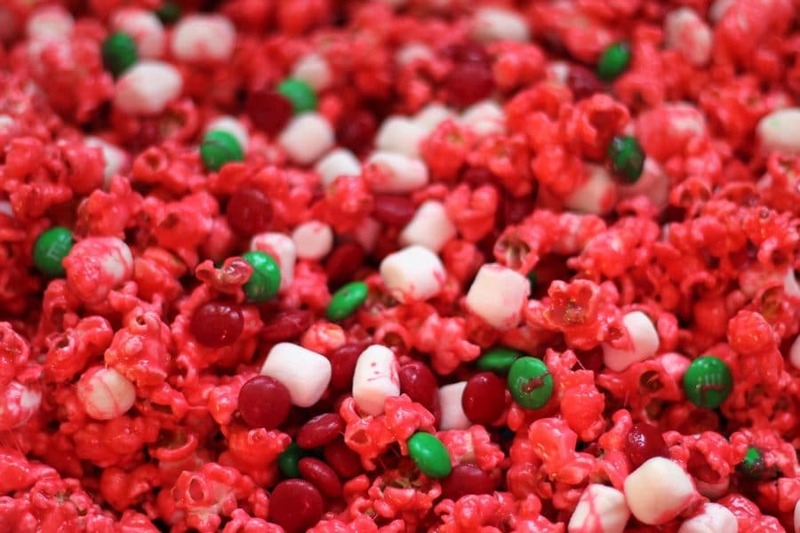 Holiday popcorn balls are my favorite treat to serve up. They are something I grew up eating every Christmas and I think you will enjoy them as well. Melting snowman chocolates is another fun one. The kids always love help making the snowman on the chocolate before it hardens. Serve up these white chocolate snowman pops, they are sweet, dipped in chocolate, and a really fun Christmas candy to serve up at your dessert table. 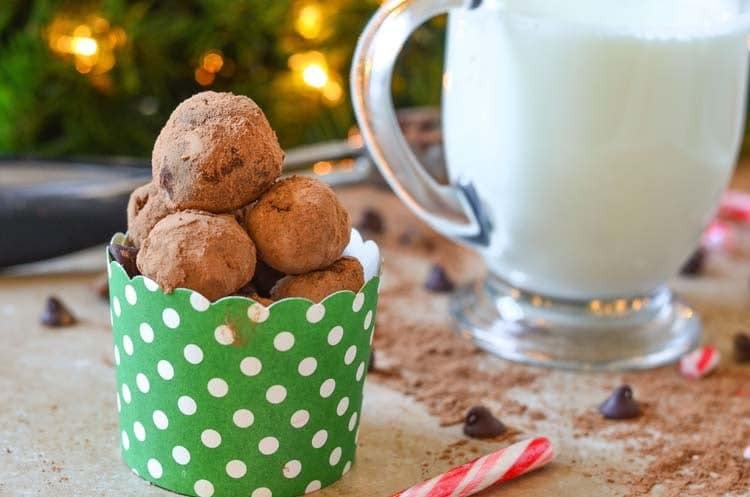 Hot Chocolate truffles are rich, smooth, silky, and melt in your mouth delicious. These are one of my favorite Christmas treats to have each year. Make some homemade Butter Almond toffee to give to friends and family, enjoy yourself and dress up your candy boxes to share with loved ones. So easy to make, and the flavors are outstanding. Divinity is a classic holiday candy, and this recipe is a tried and true. Feel like your Grandma just helped you make this tasty Divinity and get a taste of your childhood. Peanut butter meltaways are a perfect candy to have out to greet your guests. 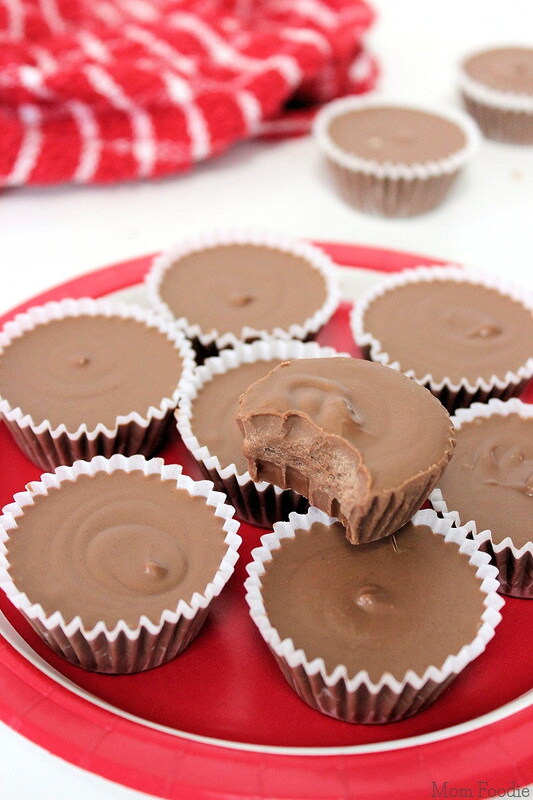 Milk chocolate with a peanut butter center that is smooth, silky and divine. Here is a super simple peanut butter fudge recipe that is truly so easy to make. Fudge is one of my favorite Christmas candies to have up for the picking. Marshmallow brownie bites have a secret surprise inside. They are small bite-size brownies, topped with a marshmallow and a tasty center. 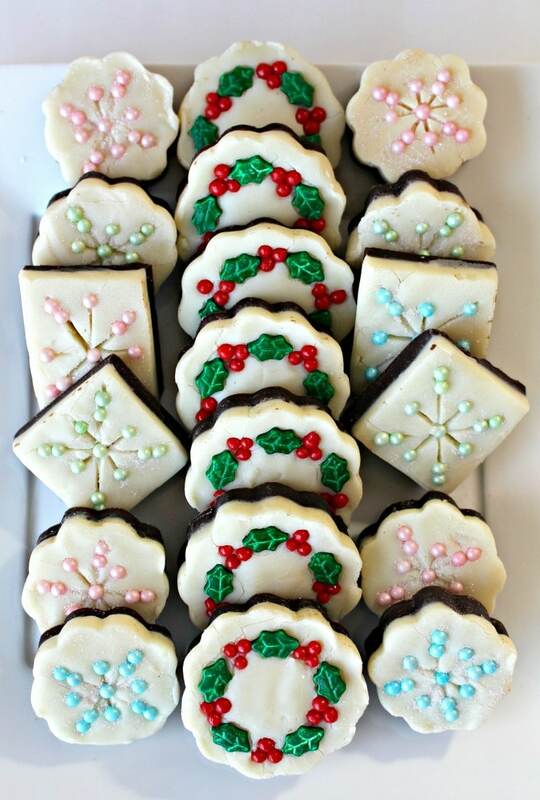 Or if you want a decorated fudge look at these snowflake and Christmas wreath fudge treats that are so pretty and absolutely delicious. If you have not tried making homemade caramels try it! This is a really great recipe that gives you that rich, smooth, and indulgent caramel flavor. Maple walnut truffles are a bit of a twist to a plain truffle, but trust me the flavors work so well together. Dip them in chocolate and you have the perfect bite-size treat. Whip up a batch of German Candied Almonds. These almonds are sweet and coated in a sugary goodness to really hit the spot. 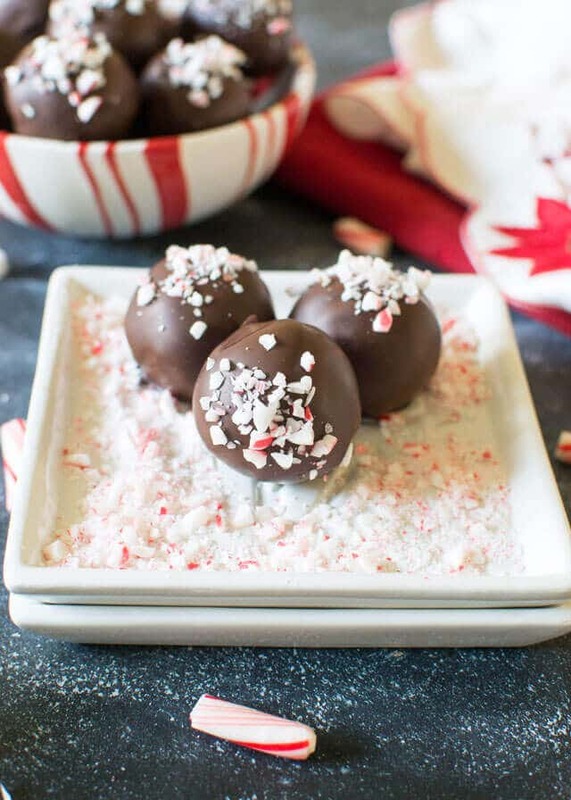 Candy Cane sugar cookie truffles scream Christmas! You have the peppermint flavor paired with a soft-centered truffle and dipped in chocolate for the final touch. Here are some candy cane reindeer pops that kids will go gaga over! Fun, easy, and the perfect mix of chocolate and mint. 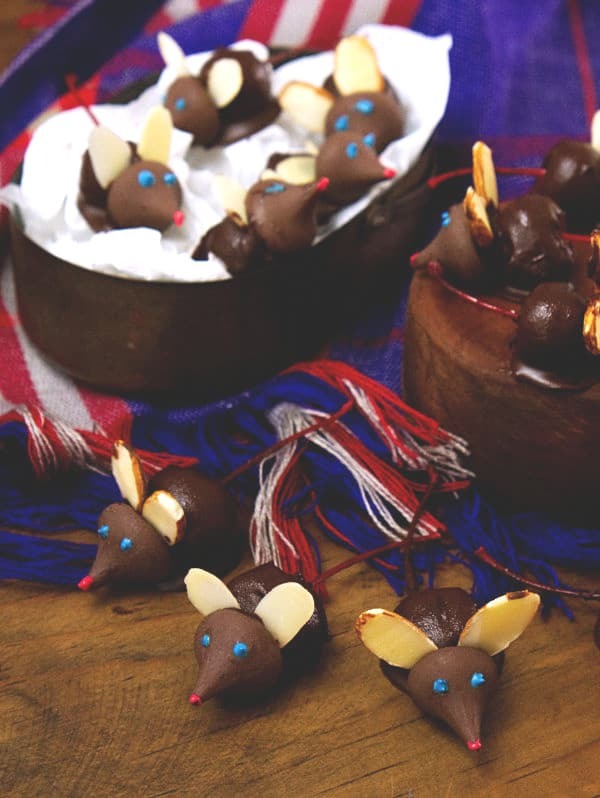 Chocolate cherry covered mice are so adorable. They are a perfect Christmas candy that is so fun to look at as it resembles a mouse. 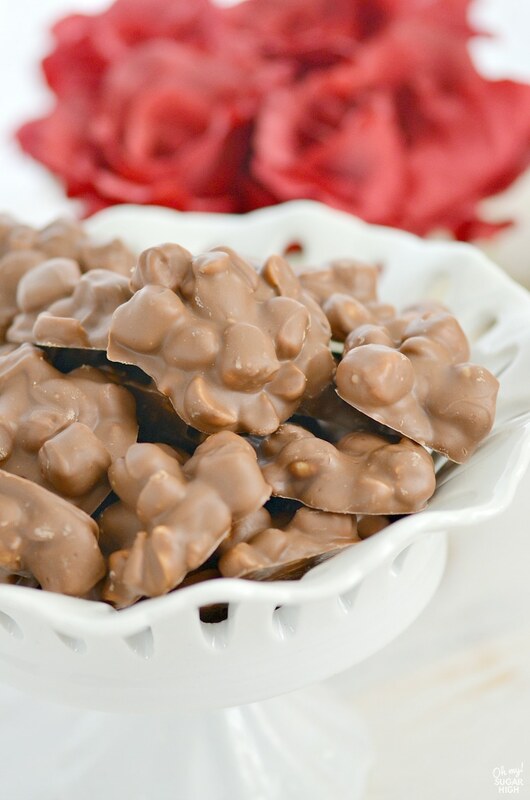 Haystacks are a simple no bake candy you can make and have ready in no time. Chocolate and crunchy, and highly addictive. It can’t get much easier than this 2-minute microwave fudge recipe. Super simple to make, minimal ingredients or time needed. Chocolate peanut clusters with marshmallow fluff is a classic candy that many homes would serve up every year for Christmas. Here is the simple holiday recipe. Ever had tiger butter? 3 simple ingredients is all you need for this holiday dessert that is going to wow your guests for sure.